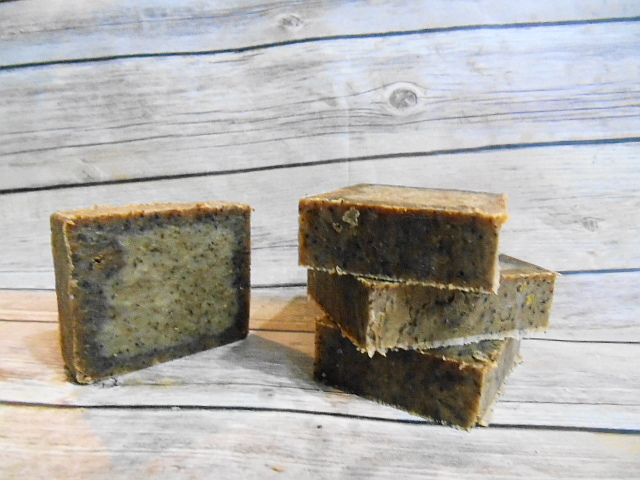 Handmade soap in a rich coffee blend to get you going in the morning. This bar also has shea butter and goat milk, for a creamy, moisturizing lather. Ingredients: Olive Oil, Coconut Oil, Water, Sodium Hydroxide, Organic Palm Oil, Fresh Goat Milk, Shea Butter, Fragrance.